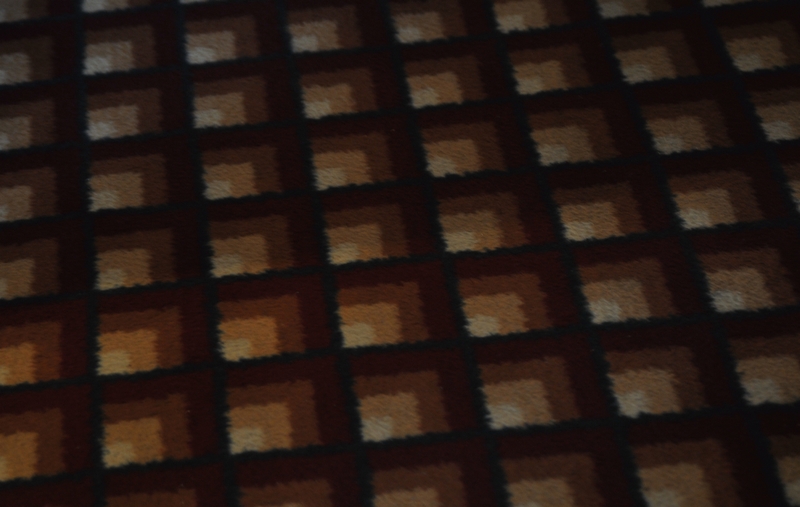 A carpet in the Atrium looked like a diagram of wind with splashes of autumn leaves. 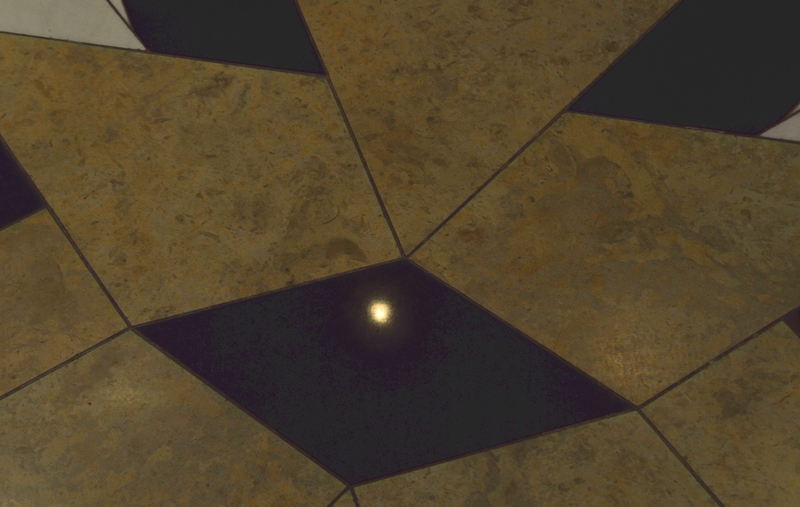 The floor near the stairs in the Atrium was covered in mixed tile shapes and colors. 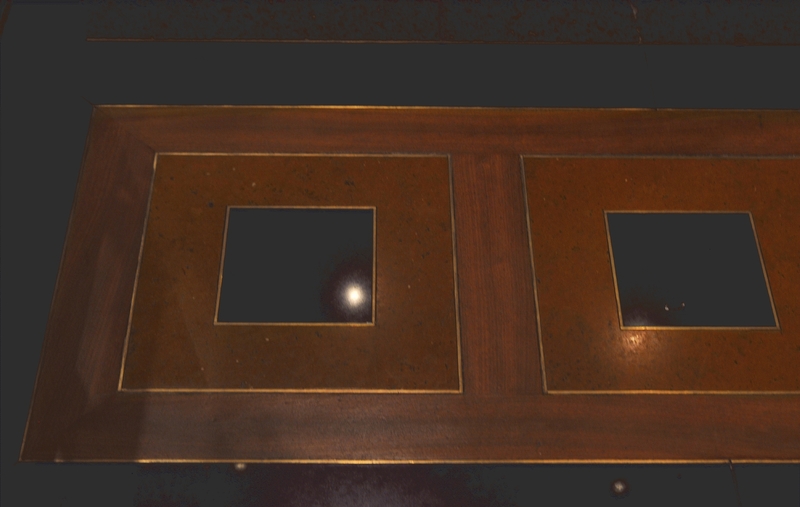 Two squares inside a larger rectangle were a detail of the floor outside the elevators. 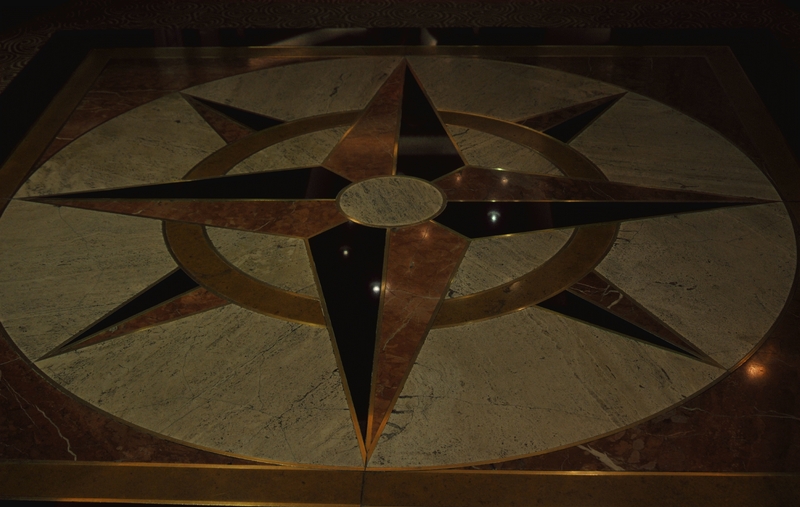 A compass pattern was created using tiles and metal set into the floor of the Atrium. 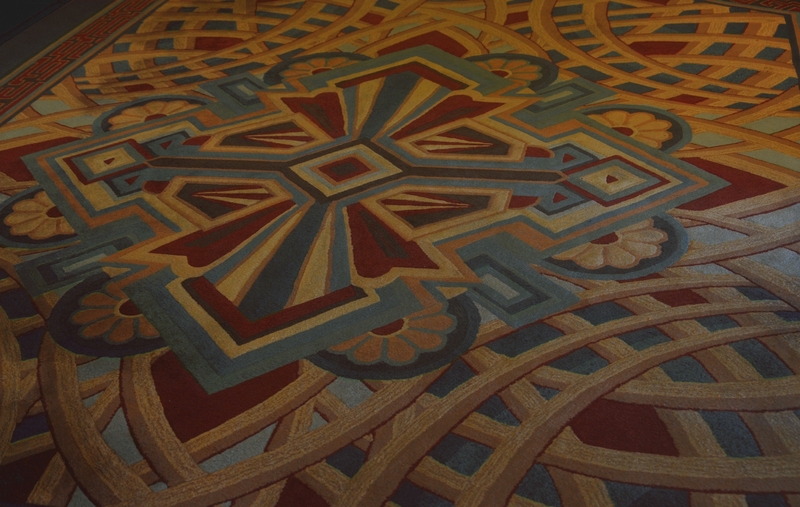 An elaborate and fancy carpet design covered the floor just outside the Casino. 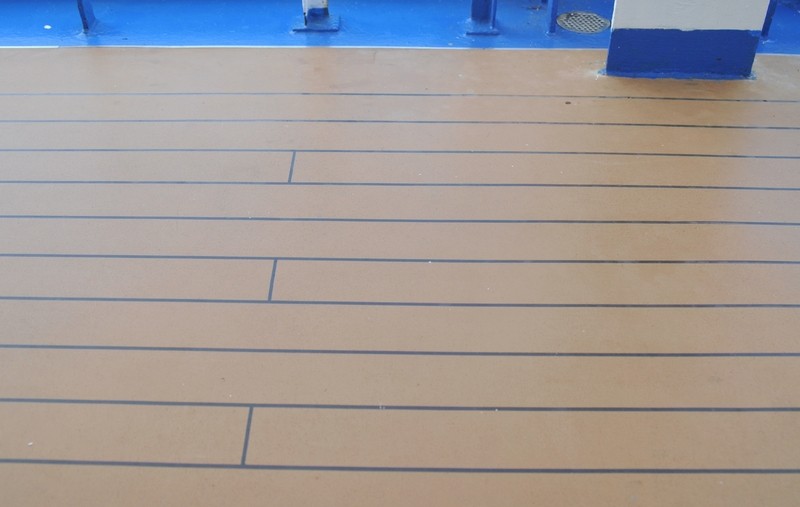 A walkway using an ordinary linear board pattern covered the Promenade on deck 7. 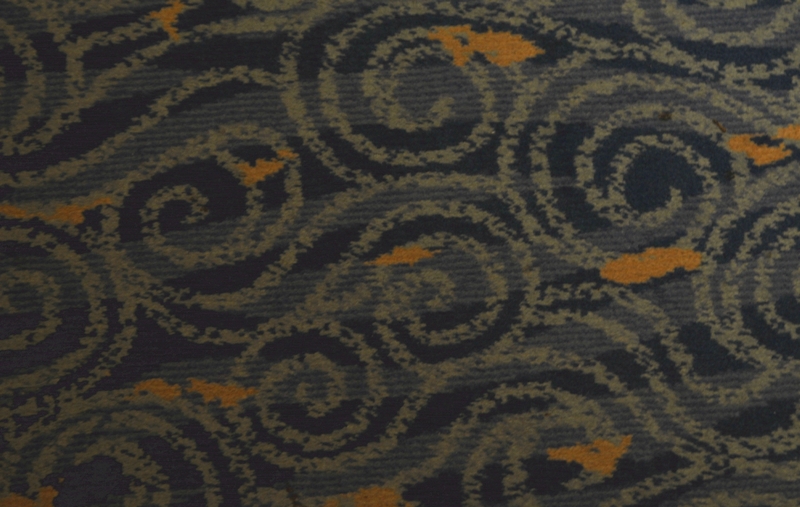 A 3D carpet design gave depth to the floor outside the Explorers Lounge. 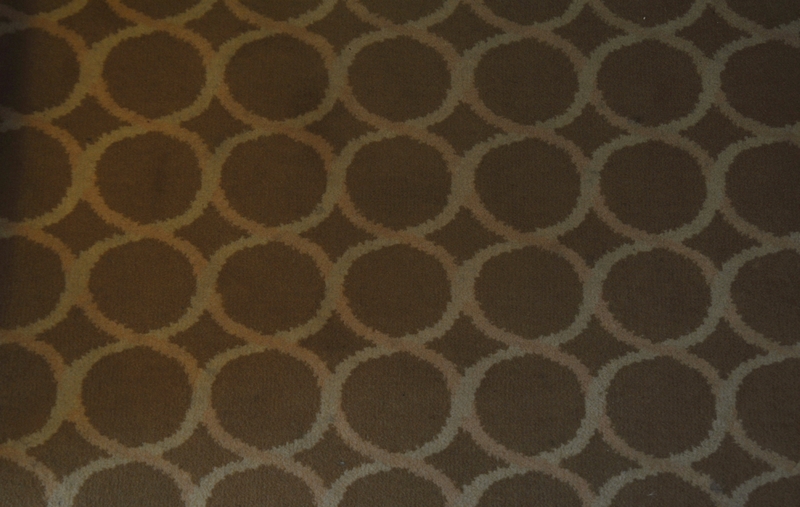 An example of the carpet on the floor of the typical guest cabin. 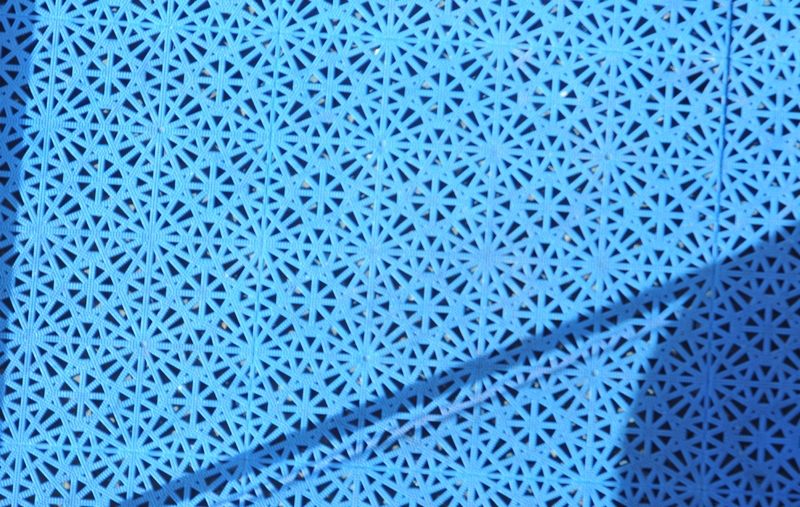 Rubber tiles covered the floor of the balcony outside the cabin. 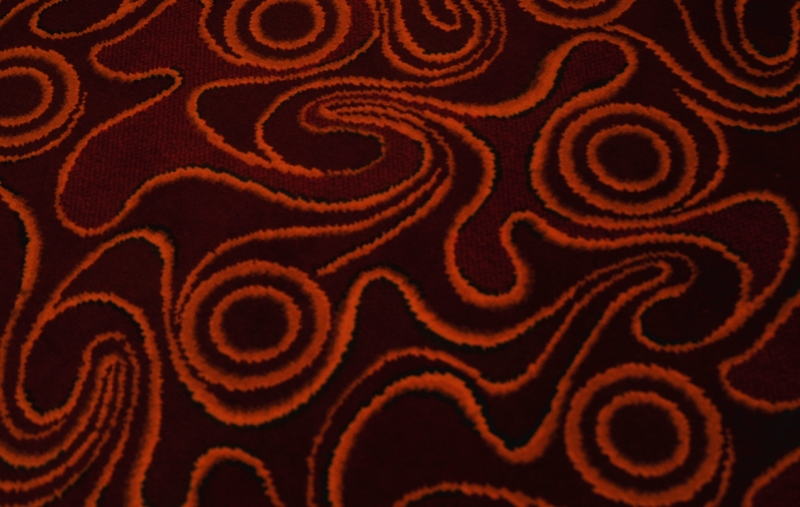 A swirling abstract pattern accented the floor at the entrance to the Princess Theater.